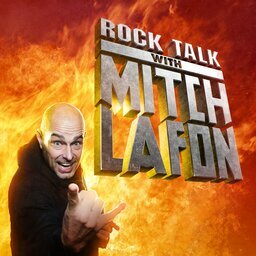 On this proudly first independent episode of ROCK TALK WITH MITCH LAFON. Mitch welcomes L.A. Guns singer PHIL LEWIS and superstar KENNY LOGGINS. Alan Niven co-hosts. In the first interview, Phil Lewis discusses the band’s latest album The Devil You Know, joining L.A. GUNS initially, Bernie Tormé, GIRL, making relevant new music, being back in a band with Tracii Guns, his ‘solo’ L.A. Guns albums are not L.A. Guns, career regret, the different producers they’s worked with including Michael James Jackson (KISS, Hurricane) & Tom Werman, the album Vicious Circle, the writing and recording process now, different members over the years and much more. Mitch’s second interview is with KENNY LOGGINS. They discuss his upcoming WYNN LAS VEGAS shows, being considered as the ‘King Of The Soundtrack’, Loggins & Messina, Y&T and Poison covering his songs, becoming a solo artist, Top Gun, the 35th Anniversary of Footloose, making new music and much more. You can also listen and subscribe to the show on Apple Podcasts, GooglePlay, Stitcher, Amazon Alexa, TuneIn and Spotify.